With high blood pressure you want to have a diet low in sodium and fat, so here are the top foods you should really avoid. Pickles are low calorie, which is great, but they are loaded with sodium. 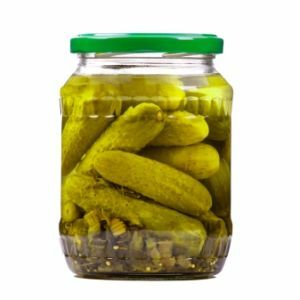 One medium pickle (about 5 inches long) can have around 570 mg of sodium. That’s over 1/3 of your sodium limit (2300 mg) for the day! It’s low calorie and a great way to add vegetables to a bratwurst, right? Nope. A half cup may only have about 13 calories, but it also has over 460 mg of sodium. Bacon is mostly fat. Three slices have 4.5 grams of fat and about 270 mg of sodium. Opt for lower sodium varieties and try turkey bacon instead of pork. Even with these switches bacon should remain a “special treat”, not an everyday indulgence. Dairy is a great source of calcium, but high fat dairy sources, like whole milk, provide more fat than you need. A one cup serving of whole milk provides 8 grams of fat, 5 of which are saturated. Saturated fats are worse for you than other types and has been linked to heart disease. Try using 2% milk, or even better – 1% or skim. Donuts may be popular, but they sure aren’t very good for your health and body. Just one donut packs in 200 calories with 12 grams of fat. Ramen noodles are popular among college students, but they are not a healthy meal. One package of Ramen noodles adds 14 grams of fat to your day AND 1580 MG of sodium! Interestingly, it is actually the flavor packet that contains most of that sodium. (To the left is a look at the dry noodles before adding hot water). From your BMI to your heart rate, healthy living often revolves around numbers. However, here are 7 surprising health statistics you may be unaware of. According to a survey of family eating habits by food company Green Giant, one in 10 parents in Britain believe that drinking cola counts towards their five recommended portions of fruit and veg. 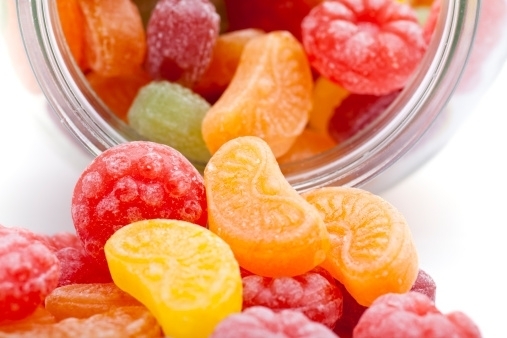 Not only that, one in 10 of those surveyed also believed that chips contributed to the 5-a-day health campaign, while one in five thought that fruit-flavoured sweets counted towards this target. Surprisingly, one in 20 of those questioned, did not however believe that oranges or bananas counted towards their portions of fruit and veg. While many of us would pay good money for the perfect body, research by Arizona State University found that a lot of women would give up a great deal more if it meant being slim – including their eyesight. According to this survey, a surprising one in six women would rather be blind than be obese. Furthermore, many women stated they would prefer alcoholism or catching herpes to being overweight, while one in four would prefer to suffer from depression. Research findings published in the Journal of Plastic and Reconstructive Surgery suggest that body satisfaction and confidence for women are at an all time low. According to this survey, a huge 48 per cent of women surveyed would be interested in having cosmetic surgery, while a further 23 per cent would possibly be interested. Although men’s interest in surgery was significantly lower, 23 per cent of men still claimed to be interested in surgery, while 17 per cent would potentially be. Cancer is the biggest premature killer, accounting for 40% of premature deaths. However, while experts are unclear about the causes of some forms of cancer, the World Health Organization has revealed that one third of all cancers can actually be prevented by careful lifestyle choices. Some of the main preventable causes of cancer include smoking, physical inactivity, obesity, alcohol, infection and environmental pollution. While there are many shocking statistics related to smoking (such as that approximately every 6 seconds, someone dies due to tobacco) perhaps a less well known one is that, on top of many of the well publicised health effects of smoking, it can also cause smokers to lose one third of their everyday memory. According to the study by Northumbria University, smokers performed significantly worse in memory tests than those who did not smoke; however, they found that kicking the habit restored their ability to recollect information. The general recommendation for good health and fitness for adults is to get a minimum of 30 minutes daily exercise. However, according to a Cooking Light Insight survey, only six per cent of Americans meet this recommendation. Though a further 22 per cent claim to exercise three to four times per week, this still leaves a high percentage of people who are failing to exercise regularly and therefore increasing their risk of obesity and heart disease. You may not think that your diet is too high in sugar, but even if you steer clear of desserts and chocolate, you could still be eating well over the recommended maximum sugar intake. According to a study published in the Journal of the American Medical Association, food companies have been increasing the sugar content of processed foods to make them more appetising, meaning that many are unaware of how much they are eating. The study showed that some people are unknowingly eating up to 46 teaspoons a day, increasing their risk of health conditions including heart disease. While we are probably all familiar with the advice to drink eight glasses of water a day, more recent research has suggested that there is actually no scientific evidence supporting this recommendation and that drinking excessive amounts of water can actually be dangerous by lowering the concentration of salt in your blood. Health-conscious water drinkers should also be wary of the trend for drinking bottled water, as studies have suggested that the chemicals (phthalates) from plastic bottles can leach into water and disrupt hormone levels. Talking through your problems can be a great way to gain some perspective and get things off your chest. However, studies have suggested that, after a certain point, rehashing and dwelling on problems can actually be bad for your health. According to research, revisiting and analyzing the same problems with friends (“co-rumination”) can lead to anxiety, stress disorders and depression. Next time a problem arises, by all means talk it over with a friend, but try to focus on problem-solving rather than simply dwelling on the issue. You may think that by swapping cocktails for mocktails you are doing your health a favour, but this may not actually be the case. While cutting down on alcohol is beneficial for your wellbeing, mocktails are often high in refined sugar which research suggests is just as damaging and addictive as alcohol. For a safer swap and a shot of nutrients, make sure you stick to mocktails made from pure fruit juices instead of those made from syrups. While a daily workout is great for your health, studies suggest that getting up for early morning exercise may not be as ideal as it seems. A study by a researcher from Brunel University, Middlesex, found that heavy training sessions early in the morning can compromise the immune system and put athletes at increased risk of bacterial and viral infection. While a morning jog or gentle exercise session is unlikely to put you at risk, it may be better to save heavier workouts for later in the day. We all know that vitamins are good for us, but relying on nutritional supplements can actually be bad for your health. Separate studies have shown that high doses of vitamin supplements including iron, magnesium and vitamin B6 raise the death rate of older women, while taking vitamin E can increase men’s risk of prostate cancer. While certain people may be required to take vitamins (those with low levels of vitamin D, for example, or vegans who may be deficient in vitamin B12), for most people a better approach is to opt for a varied diet full of fruit and vegetables which will give you all the nutrients you need. Official advice for many years has warned about the dangers of skin cancer, causing many of us to take measures to cover up in the sun at all times. However, while it is extremely important to protect your skin, experts have more recently advised that little and frequent sun exposure is good for us, preventing vitamin D deficiency, which can lead to rickets, osteomalacia and depression. Official advice in the UK, where rickets has recently made a comeback, is to spend 10 minutes in the midday sun without sunblock each day before covering skin up. When getting started in healthy eating, it is tempting to opt for low fat foods in order to help keep off excess pounds. However, cutting out ‘good’ fats such as omega-3 fatty acids could be detrimental to your health. Omega-3 fatty acids, found in oily fish, walnuts and flaxseeds, not only help to keep skin supple and wrinkle-free, they are also essential for good brain and heart health and can help prevent arthritis. Blood triglycerides may be an important factor in your risk for heart disease. Your doctor may become concerned if your cholesterol level is too high. But another type of fatty substance found in the blood, known as triglycerides, may also need to be monitored in the effort to prevent heart disease. That is because research has identified high triglyceride levels as a risk factor for cardiovascular disease, even when cholesterol levels are normal. Triglycerides are a form of fat present in food, human body fat, and blood. Blood triglyceride levels are affected by dietary fat and are manufactured in the body from other energy sources, such as carbohydrates. Triglycerides are also stored as body fat. 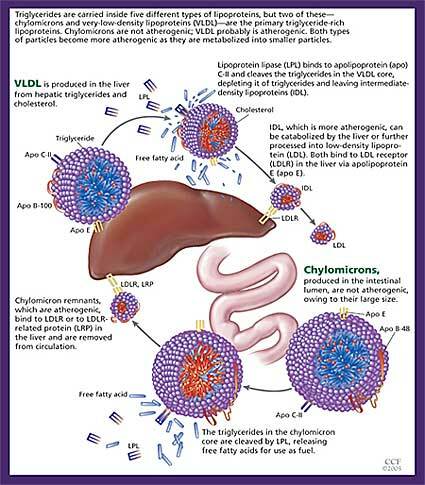 An elevation of blood triglycerides is referred to as hypertriglyceridemia . The blood test to measure triglyceride levels is easy and can be done along with a routine blood test that also measures various types of cholesterol. (The most accurate results are obtained when a person fasts before this test.) Triglyceride levels can be quite variable, so several measurements may be needed to provide accurate baseline values. An elevated triglyceride level can be an independent medical problem or can be due to another existing medical problem. For instance, people with poorly controlled type 1 or type 2 diabetes often have elevated triglyceride levels. Elevated triglycerides can also be brought on by thyroid disorders , kidney problems, obesity , excess alcohol, and taking certain medicines. Studies have found that high triglycerides levels may increase the risk of heart disease, stroke, and other conditions. There are steps that you can take, though, to lower your levels. Increase physical activity —Aerobic exercise can help with weight loss and can decrease triglyceride levels at the same time. Aim for 30 minutes of moderate-intensity exercise on most days of the week. But, first get approval from your doctor. Maintain a healthy weight—Studies have shown losing weight and maintaining an ideal weight to be associated with decreased levels of triglycerides and cholesterol. Cut down on carbs —Carbohydrates are basically divided into two categories: simple and complex. Simple carbohydrates tend to be sweet, such as soft drinks, desserts, candies, and syrup. Complex carbohydrates are found in bread, pasta, rice, fruits, and vegetables. If recommended by your doctor, reduce your intake of simple carbs. Eat more fruits, veggies, and low-fat dairy products—Include these choices as part of your healthy diet. Choose fats wisely —Instead of choosing foods high in saturated and trans fats, pick food that contains unsaturated fat. Examples include certain oils (eg, olive, corn, canola), nuts, seeds, avocados, and food with omega-3 fatty acids (eg, fish, flaxseed). Eat more fish —Omega-3 fatty acids are found in all types of fish, but are more abundant in fatty fish like mackerel, salmon, sardines, and herring. Other good sources of omega-3 fatty acids include tofu, soybeans, flaxseed, canola oil, nuts, and green leafy vegetables. Limit alcohol —According to the American Heart Association (AHA), small amounts of alcohol can increase triglyceride levels. Austin MA, et al. Cardiovascular disease mortality in familial forms of hypertriglyceridemia: a 20-year prospective study. Circulation . 2000;101:2777-2782. Centers for Disease Control and Prevention. Physical activity for everyone: how much physical activity do adults need? Centers for Disease Control and Prevention website. Available at: http://www.cdc.gov/physicalactivity/everyone/guidelines/adults.html. Updated May 10, 2010. Accessed June 15, 2010. DynaMed Editorial Team. Hypertriglyceridemia. EBSCO DynaMed website. Available at: http://www.ebscohost.com/dynamed/what.php. Updated June 10, 2010. Accessed June 15, 2010. National Cholesterol Education Program website. Available at: http://www.nhlbi.nih.gov/about/ncep/index.htm . National Heart, Lung, and Blood Institute website. Available at: http://www.nhlbi.nih.gov . Triglycerides. American Heart Association website. Available at: http://www.americanheart.org/presenter.jhtml?identifier=4778. Accessed June 15, 2010. Tags: How Much Do You Know About Triglycerides? After a long hard day at the office, I crave a manly dinner. Something that will sharpen my mind, feed my muscles, and infuse me with energy to keep up with two young kids till bedtime. So, often, I have a bowl of cereal. With bananas and whole milk. Mmm. Do I feel like I’m depriving my body of key nutrients? Quite the opposite, actually. My favorite dinner isn’t just for kids. It contains high levels of three nutrients that American adults need much more of: B12, potassium, and iodine. Our shortfalls with these nutrients—along with vitamin D and magnesium—have serious health consequences, including a higher risk of heart disease and stroke, fatigue, and weight gain. Here’s the good news: These nutrients are readily available in the foods you know and love. You can get more of one simply by spending more time outside. That doesn’t sound so hard, does it? Here’s how to fortify your diet—and your health. 1. VITAMIN D This vitamin’s biggest claim to fame is its role in strengthening your skeleton. But vitamin D isn’t a one-trick nutrient: A study in Circulation found that people deficient in D were up to 80 percent more likely to suffer a heart attack or stroke. The reason? Vitamin D may reduce inflammation in your arteries. Also, a University of Minnesota study found that people with adequate vitamin D levels release more leptin, a hormone that conveys the “I’m full” message to your brain. Even more impressive, the study also found that the nutrient triggers weight loss primarily from the belly. Another study found that people with higher D levels in their bloodstream store less fat. The shortfall: Vitamin D is created in your body when the sun’s ultraviolet B rays penetrate your skin. Problem is, the vitamin D you stockpile during sunnier months is often depleted by winter, especially if you live in the northern half of the United States, where UVB rays are less intense from November through February. When Boston University researchers measured the vitamin D status of young adults at the end of winter, 36 percent of them were found to be deficient. Hit the mark: First, ask your doctor to test your blood levels of 25-hydroxyvitamin D. “You need to be above 30 nanograms per milliliter,” says Michael Holick, M.D., Ph.D., a professor of medicine at Boston University. Come up short? 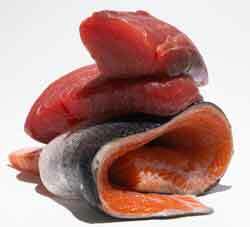 Eat foods like salmon (900 IU per serving), mackerel (400 IU), and tuna (150 IU). Milk and eggs are also good, with about 100 IU per serving. But to ensure you’re getting enough, take 1,400 IU of vitamin D daily from a supplement and a multivitamin. That’s about seven times the recommended daily intake for men, but it takes that much to boost blood levels of D, says Dr. Holick. YOU, IMPROVED: If you have a problem, we have your solution. Click here for surprising ways to improve your life today! 2. MAGNESIUM This lightweight mineral is a tireless multitasker: It’s involved in more than 300 bodily processes. Plus, a study in the Journal of the American College of Nutrition found that low levels of magnesium may increase your blood levels of C-reactive protein, a key marker of heart disease. Hit the mark: Fortify your diet with more magnesium-rich foods, such as halibut, navy beans, and spinach. Then hit the supplement aisle: Few men can reach 400 mg through diet alone, so Dr. King recommends ingesting some insurance in the form of a 250 mg supplement. One caveat: Scrutinize the ingredients list. You want a product that uses magnesium citrate, the form best absorbed by your body. DID YOU KNOW? There are 46,000 foods in the average supermarket. How to choose what to put in your cart? Here’s your shopping list: The 125 Best Foods. 3. VITAMIN B12 Consider B12 the guardian of your gray matter: In a British study, older people with the lowest levels of B12 lost brain volume at a faster rate over a span of five years than those with the highest levels. The shortfall: Even though most men do consume the daily quota of 2.4 micrograms, the stats don’t tell the whole story. “We’re seeing an increase in B12 deficiencies due to interactions with medications,” says Katherine Tucker, Ph.D., director of a USDA program at Tufts University. The culprits: acid-blocking drugs, such as Prilosec, and the diabetes medication metformin. Hit the mark: You’ll find B12 in lamb and salmon, but the most accessible source may be fortified cereals. That’s because the B12 in meat is bound to proteins, and your stomach must produce acid to release and absorb it. Eat a bowl of 100 percent B12-boosted cereal and milk every morning and you’ll be covered, even if you take the occasional acid-blocking med. However, if you pop Prilosec on a regular basis or are on metformin, talk to your doctor about tracking your B12 levels and possibly taking an additional supplement. 4. POTASSIUM Without this essential mineral, your heart couldn’t beat, your muscles wouldn’t contract, and your brain couldn’t comprehend this sentence. Why? Potassium helps your cells use glucose for energy. The shortfall: Despite potassium’s can’t-live-without-it importance, nutrition surveys indicate that young men consume just 60 percent to 70 percent of the recommended 4,700 mg a day. To make matters worse, most guys load up on sodium: High sodium can boost blood pressure, while normal potassium levels work to lower it, says Lydia A. L. Bazzano, M.D., Ph.D., an assistant professor of epidemiology at Tulane University. Hit the mark: Half an avocado contains nearly 500 mg potassium, while one banana boasts roughly 400 mg. Not a fan of either fruit? Pick up some potatoes—a single large spud is packed with 1,600 mg. Most multivitamins have less than 100 mg of potassium, so eat your fruits and vegetables, folks! 5. IODINE Your thyroid gland requires iodine to produce the hormones T3 and T4, both of which help control how efficiently you burn calories. That means insufficient iodine may cause you to gain weight and feel fatigued. The shortfall: Since iodized salt is an important source of the element, you might assume you’re swimming in the stuff. But when University of Texas at Arlington researchers tested 88 samples of table salt, they found that half contained less than the FDA-recommended amount of iodine. And you’re not making up the difference with all the salt hiding in processed foods—U.S. manufacturers aren’t required to use iodized salt. The result is that we’ve been sliding toward iodine deficiency since the 1970s. Hit the mark: Sprinkling more salt on top of an already sodium-packed diet isn’t a great idea, but iodine can also be found in a nearly sodium-free source: milk. Animal feed is fortified with the element, meaning it travels from cows to your cereal bowl. Not a milk man? 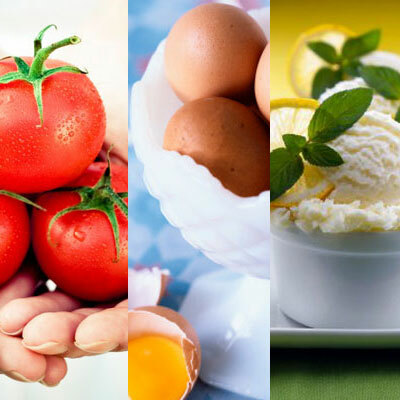 Eat at least one serving of eggs or yogurt a day; both are good sources of iodine. Also, check out our list of the 40 Foods with Superpowers—foods that, even in moderation, can strengthen your heart, fortify your bones, and boost your metabolism so you can lose weight more quickly. Food poisoning is a horrible, even potentially life-threatening experience. But it’s hard to determine if food is safe to eat, partly because problems are relatively rare. But knowing which foods are potentially risky can help. Be aware of the risk, but don’t avoid these types of food. “They are everywhere and are part of a healthy diet,” says CSPI staff attorney, Sarah Klein. Yes, they’re your favorite go-to salad greens—lettuce, escarole, endive, spinach, cabbage, kale, arugula, and chard. Greens can be contaminated by manure, dirty water rinses, or unwashed hands before you even purchase them. To avoid getting sick, wash produce and prevent cross-contamination (improper handling of meat in the kitchen can spread bacteria to other types of food, including greens) by washing hands and using separate cutting boards. This breakfast favorite has been linked to 352 outbreaks since 1990, most often due to Salmonella bacteria. The bacteria can lurk inside the egg, so proper cooking is key (which kills the germs). Avoid eating any products containing raw eggs, including cookie dough. “Our food supply is safe,” says Craig Hedberg, PhD, of the University of Minnesota School of Public Health in Minneapolis. “There is roughly one illness for every three to four thousand meals served,” he says. This type of fish can be contaminated by scombrotoxin, which causes flushing, headaches, and cramps. If it is stored above 60 degrees after being caught, fresh fish can release the toxin, which cannot be destroyed by cooking (and is unrelated to mercury contamination or other problems related to tuna and other fish). “You just can’t cook out all the things wrong with food supply right now,” CSPI’s Klein says. Before being transformed into a pricey delicacy, oysters lurk on the ocean floor doing what they do best—filter feeding. If served raw or undercooked, oysters can contain germs—mostly a gut-churner called norovirus and a bacterium known as Vibrio vulnificus—that can cause nausea, vomiting, and diarrhea. A freshly scrubbed spud that’s properly cooked is unlikely to cause illness. But watch out for potato salad. Cross contamination—the transfer of germs from one type of food, usually meat, to another—can be the source of the problem. While restaurants are a key source of other food-related outbreaks, most people who get sick from cheese do so from products consumed at home. “People are making ice cream at home and using raw eggs in the household,” explains Hedberg. Although tomatoes were found “not guilty” in a 2008 outbreak that sickened thousands (the culprits were jalapeno and Serrano peppers), this summer favorite has been linked to at least 31 outbreaks. “Lettuce or tomatoes may be contaminated, but once they enter a household, you can make sure that you don’t allow the bacteria to grow and multiply,” says Hedberg. While sprouts are practically the poster child for healthy food, they can also be vulnerable to bacterial contamination. The seeds used to produce the sprouts can be contaminated in the field, and water and warm growing conditions that encourage germination can also boost bacterial growth. Another common source of food poisoning is berries, including strawberries, raspberries, and blackberries. A 1997 outbreak that sickened thousands of children via school lunches was traced to hepatitis A-contaminated frozen strawberries (possibly from a farm worker in Baja California, Mexico). Other cases—linked to imported raspberries from Chile and Guatemala—have been caused by a germ called Cyclospora, which causes severe diarrhea, dehydrations, and cramps.